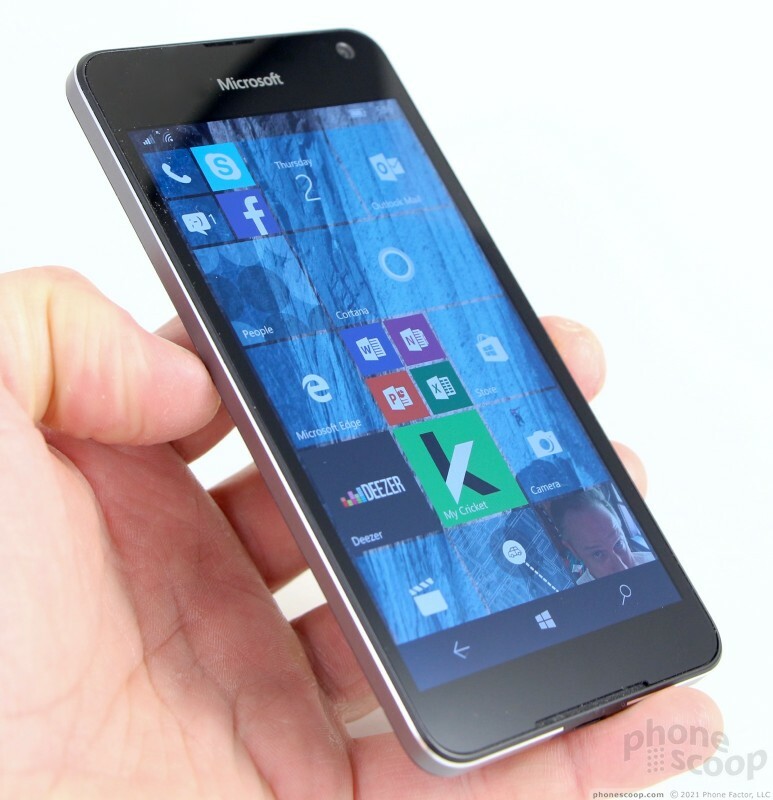 Microsoft's mid-range Lumia 650 is a more attractive option than Microsoft's other handsets and is quite affordable. 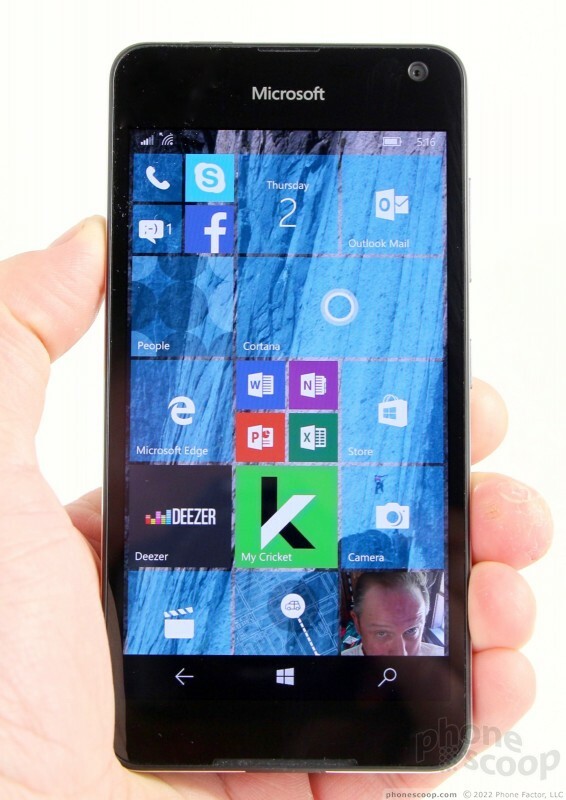 This Windows 10 Mobile smartphone should appeal to budget-minded shoppers who prefer prepaid services and are already invested in the Windows platform. 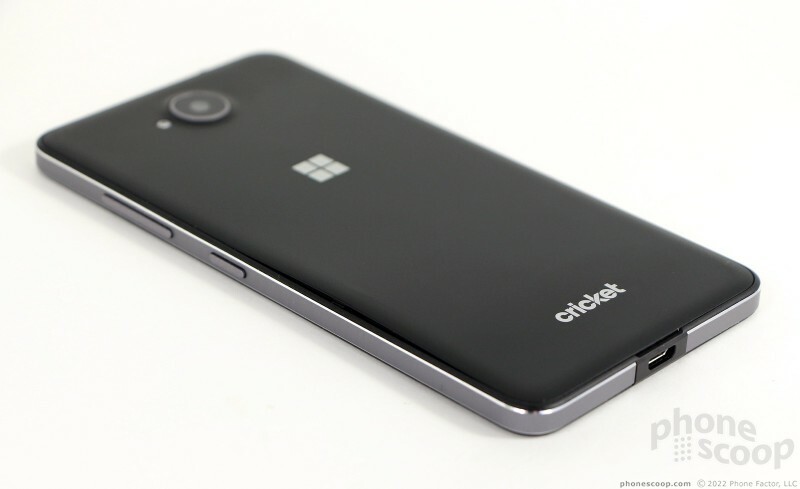 The Lumia 650 from Microsoft is an inexpensive option for Windows Mobile fans who prefer prepaid service to pricier postpaid service. The phone slots in nicely between the entry-level Lumia 550 and flagship Lumia 950 in terms of performance and affordability. If you've bought into the Windows 10 platform, the 650 might be worth a look. 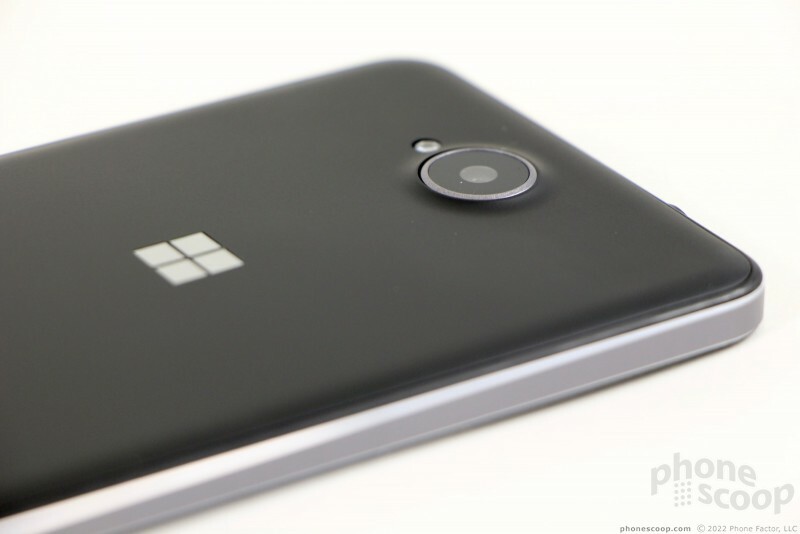 The Lumia 650 is perhaps the best-looking handset in Microsoft's current lineup. Where the 550 and 950 are somewhat plain in their styling, the 650 adopts a chrome frame that classes it up a bit. It's still conservative, but at least it's not a monochromatic block of boringness. 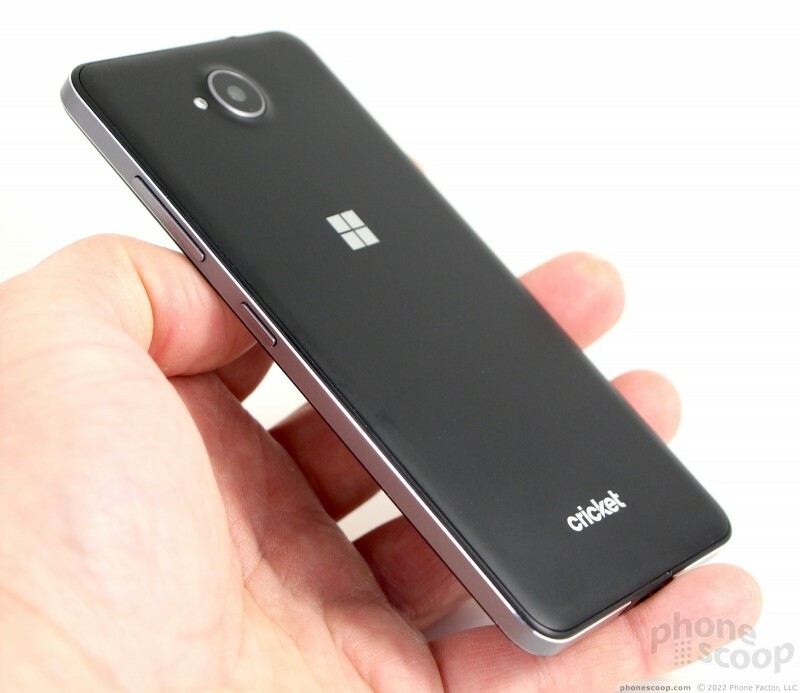 Microsoft made the 650 in black and white. Both versions have a metal band forming the side edges. The glass that forms the front surface is chamfered a bit, as is the metal band itself. 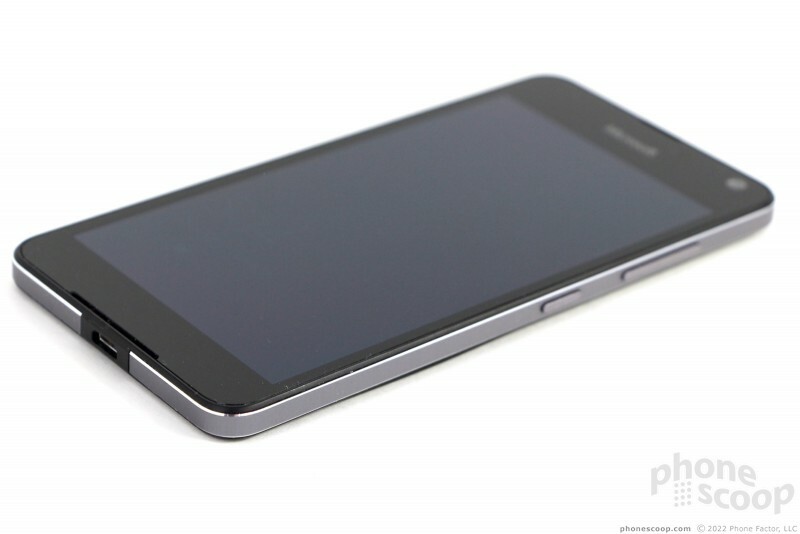 The chamfers create shiny edges on the frame, and also make the phone more comfortable to hold. The frame itself is grayish. I'm know I'm geeking out a bit with respect to this metal frame, but it truly gives the 650 a bit of pop when compared to Microsoft's other offerings. That's appreciated since Microsoft banished Nokia's design language of bright colors. The 650 is what I'd call average-sized for a modern smartphone. It's just a hair bigger than an iPhone 6s, for example, but much smaller than a 6s Plus, or Nexus 6P. This is mostly due to the 650's 5-inch screen. It's a great size for people with small hands or those who prefer compact designs. I was able to hold and use the phone without issue. It will fit into most pockets quite easily. At 4.3 ounces, it is significantly lighter than both the 550 and 950. 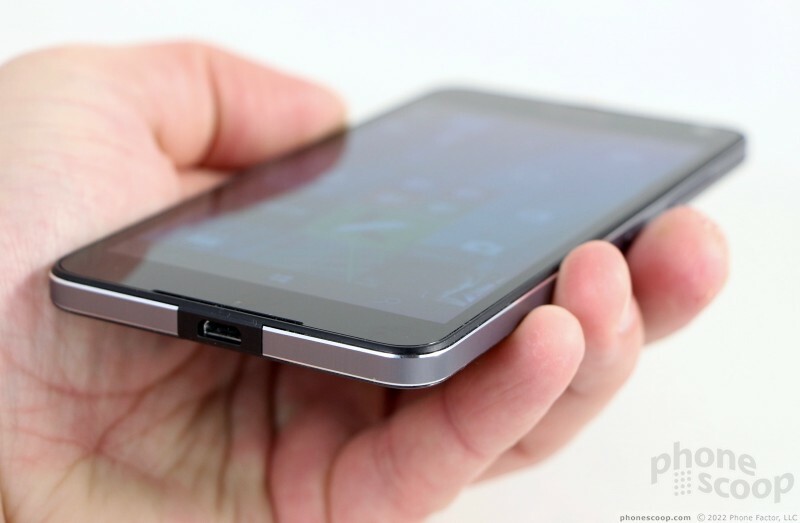 Believe it or not, the lack of heft actually hurts the Lumia 650. 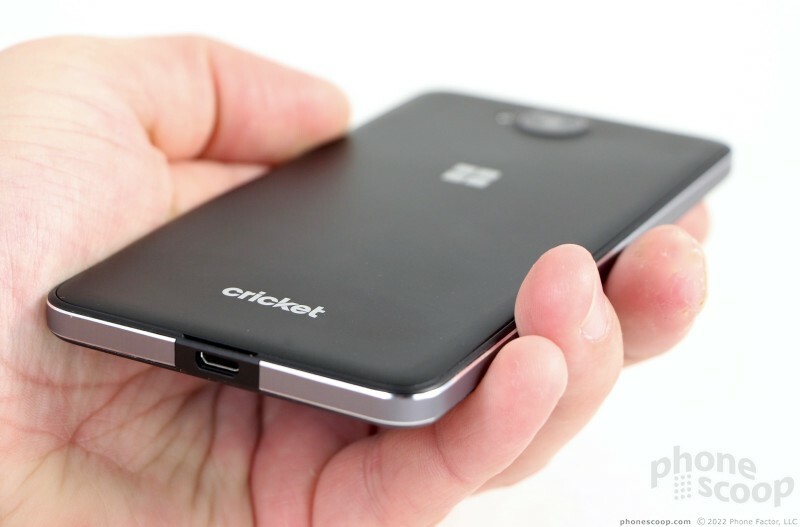 Though the front is made of glass and the sides of metal, the rear panel is polycarbonate. The shell feels flimsy and, worse, doesn't fit the phone firmly. Toss in the lack of weight, and the Lumia 650 comes dangerously close to feeling like a toy. The 650's front surface is a dark place. A deep black bezel surrounds the slightly-less-black display. Microsoft's logo, painted under the glass, is hardly visible. The user-facing camera is pretty obvious, but the earpiece and microphone are hidden in barely-there slits carved into the glass. There are no physical buttons on the front. 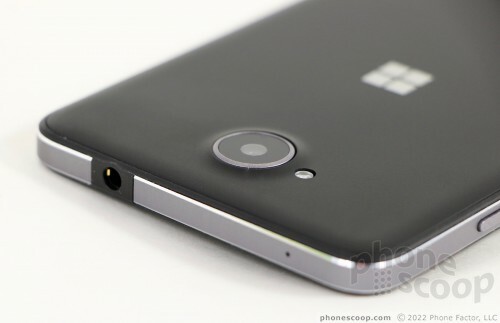 Microsoft positioned the volume toggle and screen lock button on the right edge of the phone. The screen lock button is in the middle, making it easy to find and use without looking. Feedback is fine thanks to a nice clicking sound, but the button requires too much travel. This goes for the volume toggle, too, which requires real effort to push. 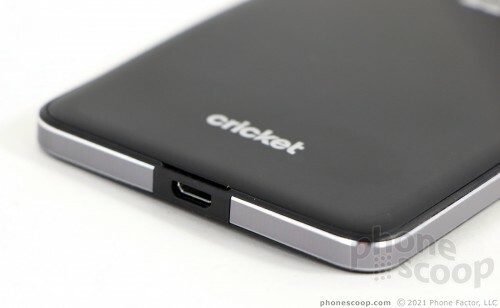 One thing I dislike about the 650's design is how Microsoft treated the headphone jack and USB port. Rather than allow the metal frame to completely encircle the phone, the frame is hacked into two pieces to make room for the plastic modules that contain the jack/port. The plastic housings are surely less expensive to manufacture, but they interrupt the phone's appearance in a negative way. The headset jack is on top, the micro USB port is on the bottom. There are no buttons or controls on the left edge of the phone. 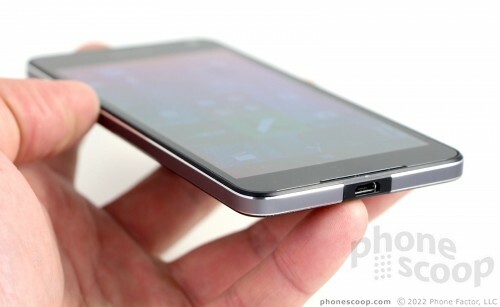 Matte polycarbonate forms the rear surface of the phone. The very bright and reflective Windows and Cricket logos are etched into the plastic and offset the matte black nicely. A chrome rim highlights the camera, and the module itself juts out just a bit. 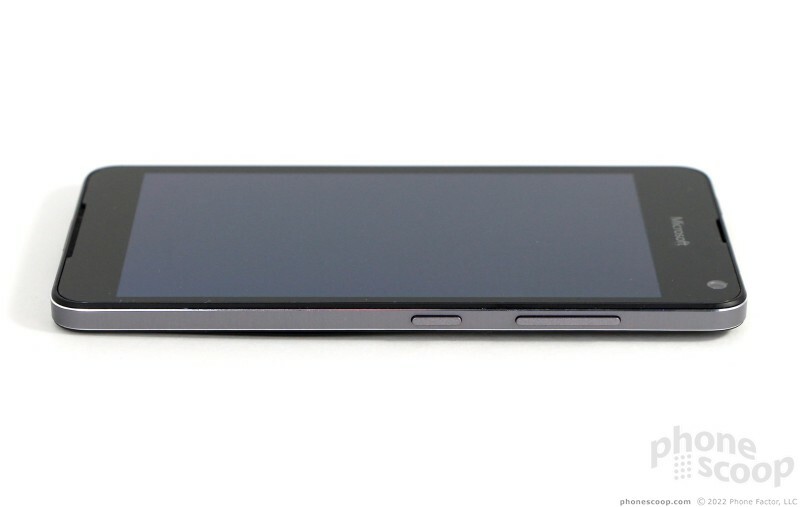 The phone's biggest problem is how the rear panel fits — or doesn't, in this case. 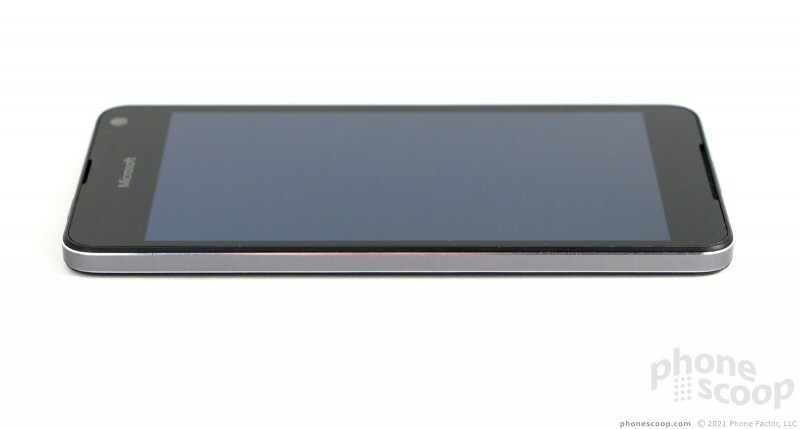 It is easy enough to remove the panel thanks to a notch placed near the bottom edge. A series of clasps on the outer edge of the panel hold it in place. The issue is this: even when installed correctly, the panel itself can travel a few millimeters in and out. There's nothing dangerous about it; the panel simply isn't shaped flat enough to fit tightly. To be sure this issue wasn't unique to my review unit, I visited several Cricket Wireless stores and discovered the same phenomenon. In short, it cheapens the experience of using this phone big time. I didn't have any trouble removing the battery. You have to remove the battery to change the SIM and memory cards. Looks can be deceiving, I guess. I think the Lumia 650 is the best-looking of Microsoft's current trio of Windows 10 handsets, but a few build issues really dampen the everyday appeal. 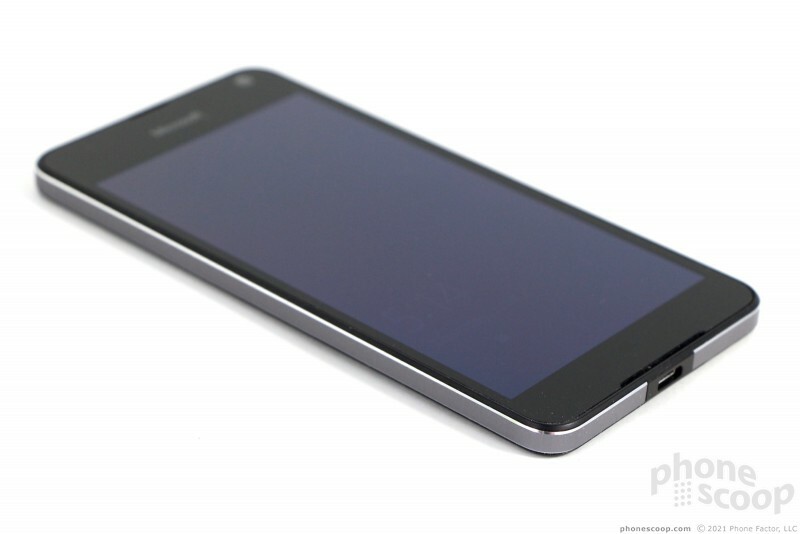 The 650's display measures 5.0 inches across the diagonal and offers 720p HD resolution. I've found over the years that Windows works well on lower resolution screens, and that remains to be true with the 650. It may not be quad HD or even full HD, but the Lumia 650's OLED panel is sharp enough that most people won't notice individual pixels or hazy edges to icons/graphics. The screen produces plenty of brightness, allowing it to be visible outdoors under sunny skies. I had no trouble snapping pix in the afternoon. Viewing angles are excellent, as there's no color shift at all and only minimal brightness drop. 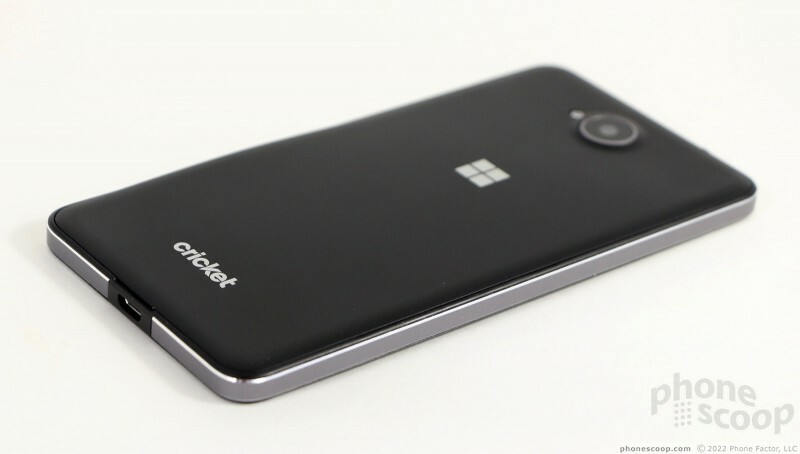 The Lumia 650 is sold by Cricket Wireless, which operates on AT&T's LTE network. I tested the phone in and around New York City and found it to perform on par with other Cricket/AT&T handsets. The phone was always able to make calls, even in poor coverage areas, and it never dropped or missed any calls while I tested it. Data speeds were generally good, although not the fastest I've seen. When surfing via LTE, web pages load quickly, but apps like Instagram and Facebook felt a bit slow to me. The Lumia 650 performed well enough for its class. Voice calls are a mixed bag. The 650's earpiece produces plenty of volume, allowing you to hold conversations just about anywhere. For example, I easily heard callers' voices while in my car, in busy coffee shops, at home, and over the din of traffic-choked streets in Manhattan. Speaking of choked, that's how voices sound when they come through the earpiece. The tiny speaker strangles sound such that everyone I conversed with resembled a hoarse cat. People I spoke to through the 650 said I sounded small and far away. The 650's speakerphone works in much the same way. It's quite loud — certainly loud enough to use at home, the office, or in a car — but the sound is scratchy and distorted. I could hear conversations in the car, but not necessarily follow them. Ringers and alerts are sufficient in demanding your attention. The vibrate alert is too subtle and I sometimes missed calls with the phone left on vibrate. The 650's battery is smaller than those in the 550 and 950. 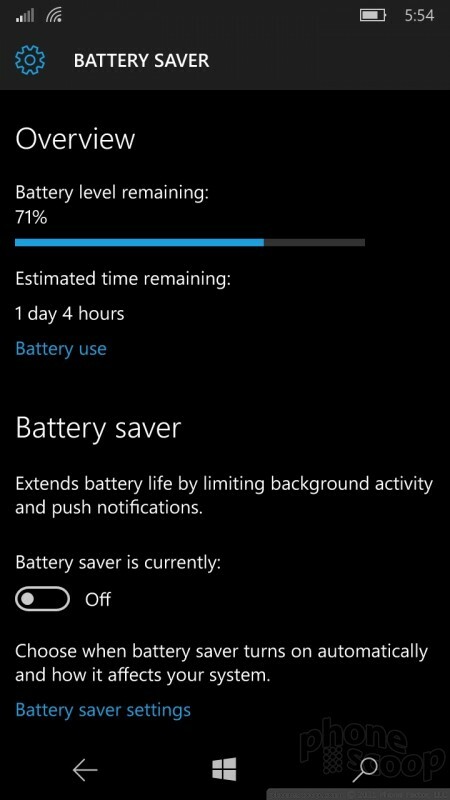 At 2,000 mAh, I found it just barely able to push from breakfast to bedtime. If I unplugged the phone at 7am, for example, it was often 100% dead by 10pm on days with normal usage. Days that I used the phone heavily saw it give up the ghost closer to the 12-hour mark. 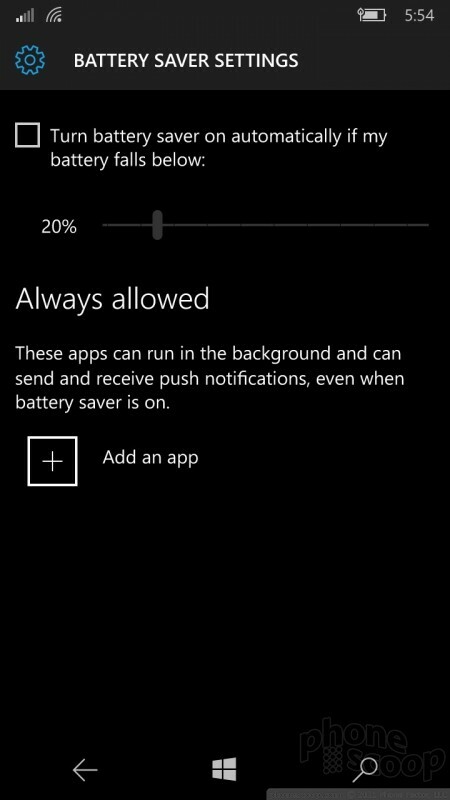 Windows 10 includes some pretty powerful power-management tools that can help the Lumia 650 make better use of the battery. The dashboard offers a detailed look at what apps are using power and estimates how much time remains, and you can control when the battery saver software kicks in. 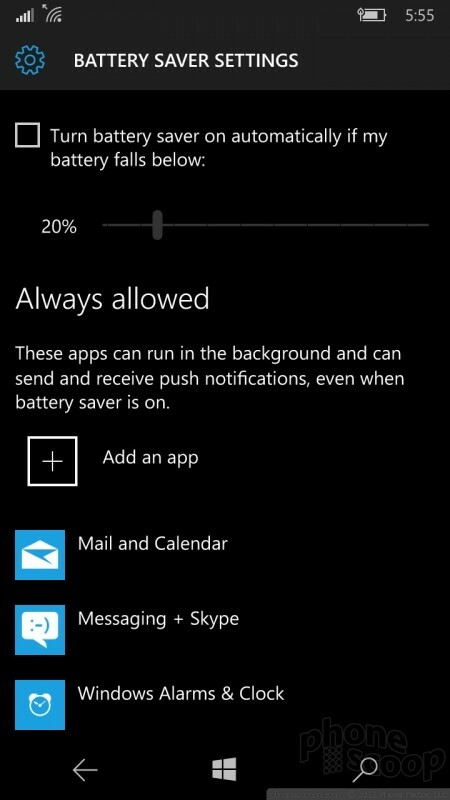 Further, you can set exceptions that allow some apps to perform at full power even when the battery saver is on. Taking the time to tweak some of these behaviors can reap big dividends. The 650 doesn't include rapid charging, nor wireless charging. I didn't encounter any trouble with the Lumia 650's secondary radios. For example, the Bluetooth radio paired with and connected to headsets and speakers no problem. I thought calls routed to a headset were just okay; calls sent to my car's hands-free system were pretty poor. Music sounded decent, but not remarkable, when pushed to stereo headphones and speakers. The GPS radio was flawless. The 650 pinpointed me in just a few seconds and was generally accurate to 25 feet. The Maps app itself loaded apps quickly enough for navigation and the 650 was able to keep my real-time location on point when driving. I was able to put the 650's NFC radio to use when pairing with some accessories. The WiFi radio functioned without issue. Microsoft announced the Lumia 650 ahead of Mobile World Congress and we had a chance to take a look at it on-site here in Barcelona. This mid-range Windows 10 handset is far more impressive than the entry-level Lumia 550, and almost outshines the high-end Lumias 950 and 950 XL. 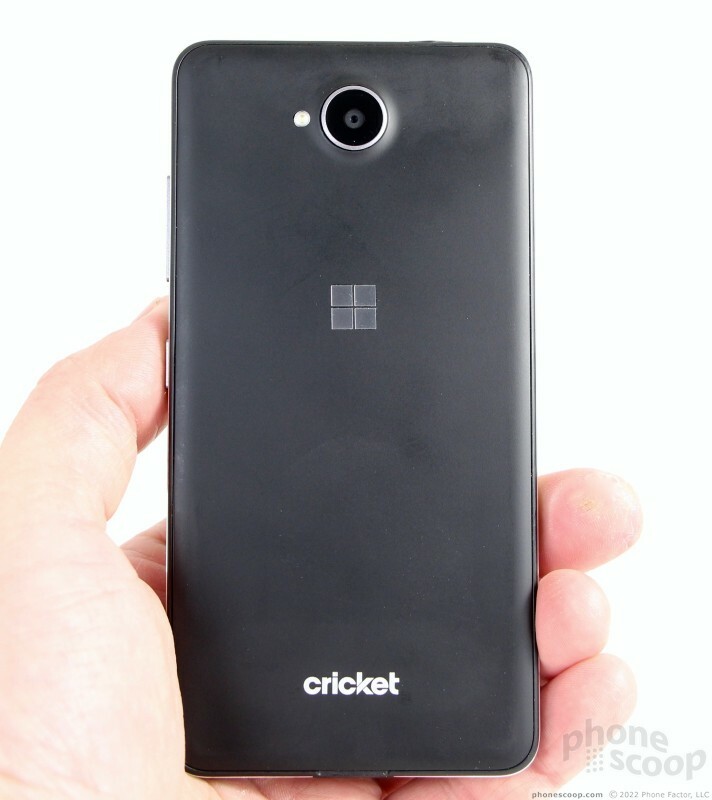 Cricket Wireless today announced plans to sell the Microsoft Lumia 650. The prepaid carrier will offer the phone beginning May 6 for $130. Microsoft today announced the Lumia 650, a $199 Windows 10 handset that bridges the gap between the entry-level Lumia 550 and the pricer Lumia 950 / 950 XL. The Lumia 650 boasts an aluminum frame, slim profile, and high-quality glass. I believe the author's complaint about the "endless apps list" is misleading. 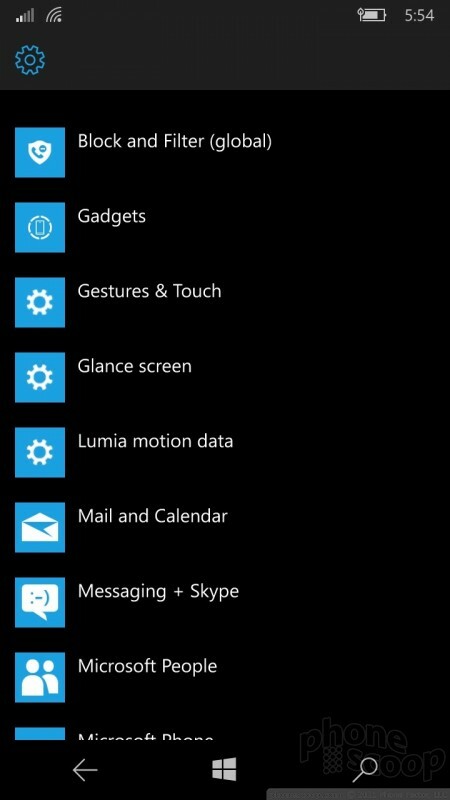 Windows Phone and Windows 10 Mobile have a "jump to" capability that allows one to tap on the the letter at top of list which brings up a matrix of all of the letters in the alphabet, and you tap on the letter of the first name of the app and it jumps to all apps with name beginning with that letter. It doesn't matter where you are in the app list, just tap the letter heading that part of the list and you instantly get the "jump to" alphabet matrix. Or, simply tap in the search bar and begin typing, just as one would in their Contacts list for example. It takes much longer to explain these methods in words than it does to actually do it. How actively terrible does a phone have to be to get the 'just don't buy this' rating? A 4 year old Android phone is a better buy than this. Even for Windows Mobile diehards, there's simply no good reason to use the platform anymore unless you like basic functionality other phones don't even struggle with being a dodgy proposition.